Do you know who she is…?? After 17 hours, the hijackers opened fire and set off explosives. Neerja opened the emergency door and helped a number of passengers escape. She did not herself escape, and became a martyr while shielding 3 children from a hail of bullets. Neerja was recognised internationally as “the heroine of the hijack” and is the youngest recipient of the Ashoka Chakra, India’s highest civilian award for bravery. 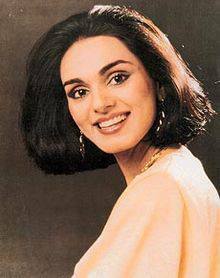 A square called Neerja Bhanot Chowk is named after her in Mumbai’s Ghatkopar (East) suburb by the Mumbai Municipal Corporation, which was inaugurated by Amitabh Bachchan in the early 90′s.